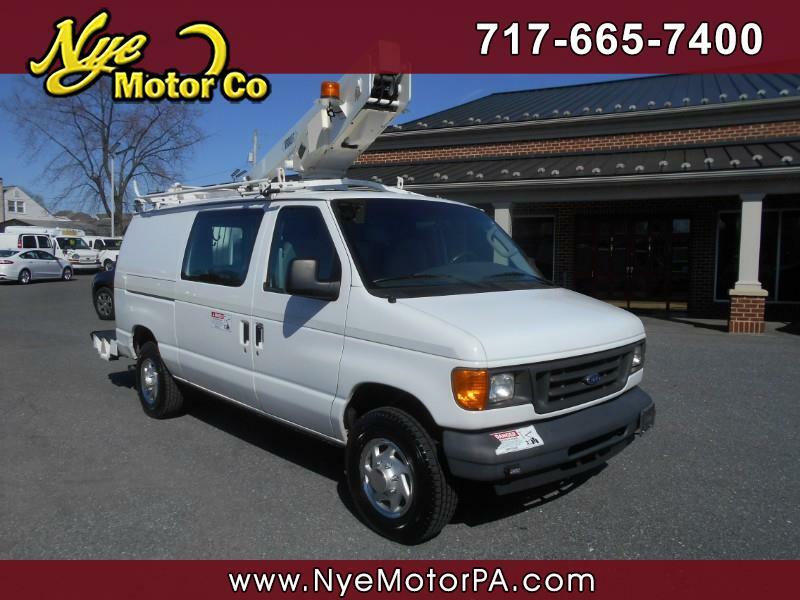 Used 2006 Ford Econoline E-350 Super Duty for Sale in Manheim PA 17545 Nye Motor Co.
****1-OWNER****VERSALIFT BUCKET/BOOM****STROBE LIGHTS****READY TO WORK****MUST SEE**** Get your work done in this 2006 Ford E-350 Bucket van! Outfitted nicely with a Versalift Bucket/Boom Model VANTEL29N, 29'9" Platform height, 350 Pound Weight Capacity, Rear Shelving, Power Windows, Power Door Locks, Power Mirror, A/C, Heat, Brand New Tires, and More! Call today to schedule your test drive.